Constructed in 1969, the Spring Lake Park Swim Facility is one of two outdoor swimming pools serving the Mankato-North Mankato community that is open to the public during the summer months and is one of only 13 sand bottom swim ponds in Minnesota. The North Mankato City Council has approved $2.4 Million in upgrades to the Spring Lake Park Swim Facility including some of the features pictured at the bottom of this page. 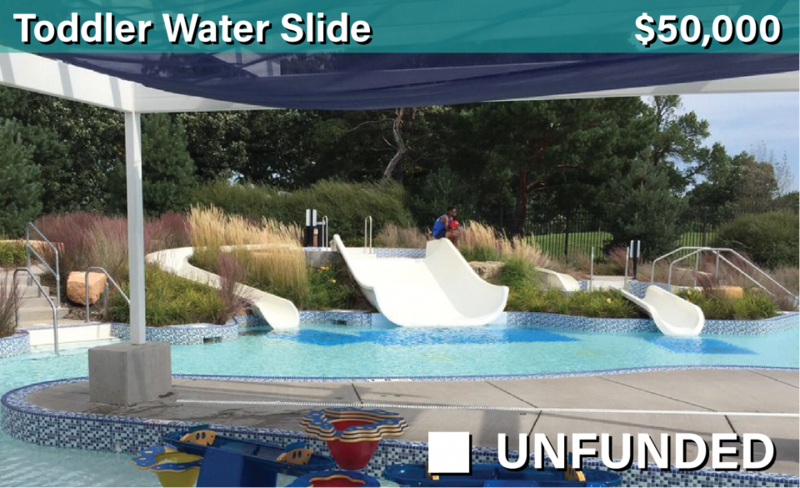 Opportunities exist for individuals and organizations to donate to unfunded features including a two-story water slide and a smaller water slide for toddlers. If you would like to pledge, please fill out a pledge form and return to North Mankato City Hall, 1001 Belgrade Avenue or donate online today! 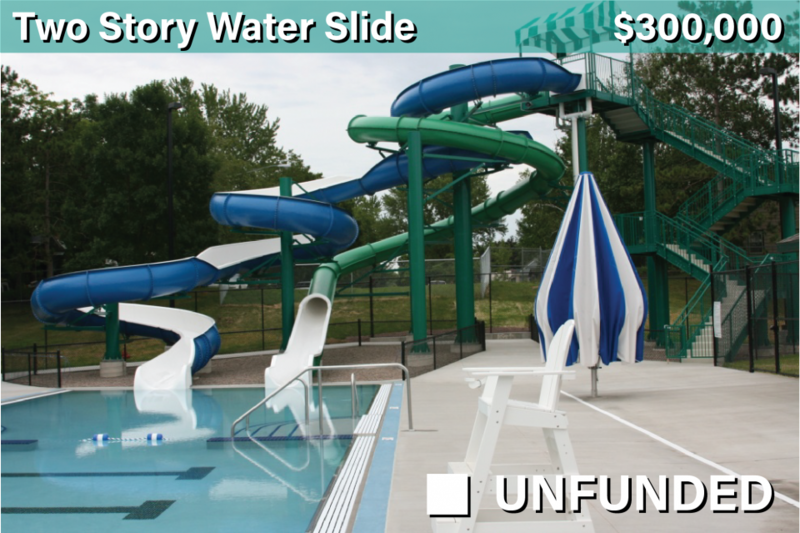 Two additional water slide features can be added for only $350,000 if community partners are identified. In an effort to provide maximum flexibility for donors, gifts may be received in 2017, 2018, or 2019. If your family or organization would be willing to donate, payments are now being accepted.